Everywhere you look there are pulses. Today, as a matter of fact, I had them in my lunch in the form of hummus and falafel. The other day I had them in the form of black bean tacos. Do you know what pulses are by now? Maybe? Let me tell ya. If you saw my recipe the other week for this oh so delicious roasted sweet potato flatbread, you’ll know that pulses are another name for beans, lentils, chickpeas and dry peas. Pretty much my favorite forms of protein and extremely common ingredients that can be mixed, whipped and blended into some of my favorite dishes. When you can put BEANS into a DESSERT, you know you’re onto something good. While I wish I could tell you hundreds of my favorite recipes with chickpeas, hummus, falafel, etc., I decided to come up with a select 9 to show you the versatility and dreaminess of pulses. This omelet is one of a kind with no eggs or tofu! But how does it get that bright golden color and fluffiness? Chickpea flour and nutritional yeast. Protein and plant-based cheesiness all in one! I’ve been a huge fan of Vegan Richa for quite a while now as I’m a firm believer everything she creates turns to gold. To mix up the way you use chickpeas, try this pizza that takes a vegan twist on the classic buffalo chicken pizza. Buffalo chickpeas sound much more delicious! Buddha Bowls are one of my favorite meals to make through the week because they’re filled with any veggies I have on hand and always include chickpeas or hummus! I love Giselle’s take on the buddha bowl by making it taco style. Because we all know tacos are a weekly must-have. Savory and sweet pair together oh so well in my girl Emilie’s veggie burgers. I love the addition of pineapple with the chickpeas for an extra Emilie visited me in Chicago this past June and I wish she would have made these for me then! Black beans are a huge part of my diet whenever I am making tacos. I either opt for black beans, red beans or white beans but no matter the color, they’re present! These enchiladas from Cookie + Kate are as beautiful as they are delicious. I’ve never been big on meatloaf but when it’s fully plant-based, it has my attention. This recipe calls for blending lentils with walnuts for a meat-like consistency and don’t worry, there’s only fresh sauce added unlike most funky restaurant meatloaf! These cookie bars are the way to my heart. Not only do they have sweet potato, almond butter and dark chocolate in them (yes, my jaw is dropping too), they have a whole can of chickpeas in them! I love having one after a late night workout when the sweet cravings arise. Fun fact: This recipe was the first one I ever made using chickpea flour with! It’s similar to a savory pancake and I’m able to fill it with all of my favorite goods: salsa, black beans and pasture-raised eggs. Now that you’ve got a mix of sweet and savory recipes that are simple and pulse-filled, I’m encouraging you to join me in taking the Pulse Pledge. After all, 2016 is indeed The International Year of Pulses (IYP). And because I love you guys so much and I know that maaaaybe 9 recipes just isn’t enough – because really, you can never have too many pulses in your life. If these 9 aren’t enough for you, try whipping up my chickpea chocolate chip cookies and maybe washing it down with this snickerdoodle chickpea smoothie. They’re a perfect combo and a great way for you to take the #pulsepledge with me. Here’s to cooking up a storm and pulsin’ away! This post was sponsored by USA Pulses & Pulse Canada. All thoughts and opinions are my own and I only support/represent brands and businesses I truly believe in and wish to promote! 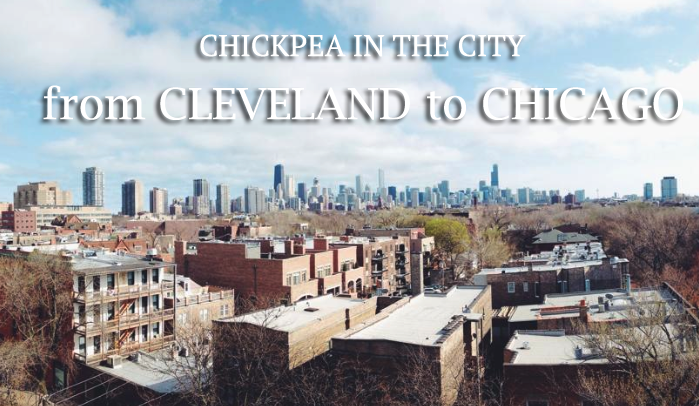 Thank you for reading + making Chickpea in The City possible. Of course babe! It looks so good! Thanks so much for including my Cookie Dough Bars. They are so delicious . . . it’s a wonder I don’t eat nearly the whole batch when I make them. Great round up!